We have our eclipse plans in place. We’ve got appropriate tunes on a playlist. All we need to make this astronomical party complete is some good party food. After scouring several stores I think I’ve got our menu set. 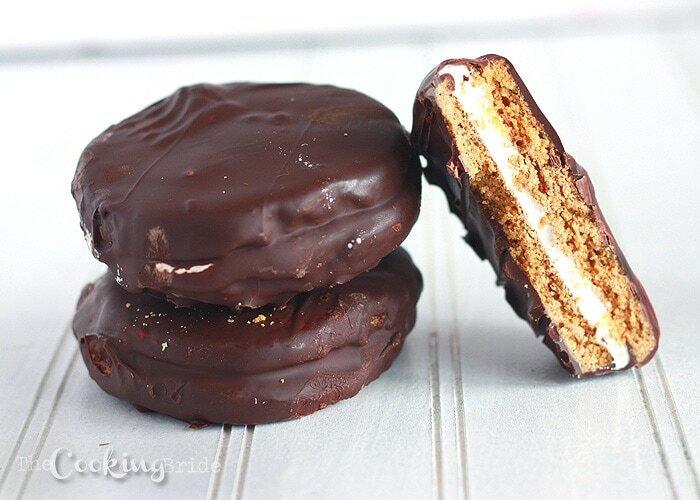 Of course, the most obvious choice is the classic Moon Pie. Finding these proved to be a challenge. I was striking out in most grocery stores and online outlets were engaging in a bit of pre-eclipse price gouging. One of the Amazon vendors was selling them for $22 a dozen. Crazy. I had to find an older store with ties to the Deep South, the origin of the Moon Pie. A Piggly Wiggly would certainly have them, but I found plenty of them at an Ingles in Easley. Though they might not have Moon Pies, other markets like Publix were still getting in on the act with eclipse-related displays. As for our meal, there will be deli sandwiches for lunch accompanied by Sun Chips. And as an after-meal palate cleanser we have Eclipse gum. Publix bakery also had some cool cookies decorated with eclipse-related designs, but we decided to stick with the Moon Pies. Strossner’s Bakery nearby was taking pre-orders for their own Moon Pies. There are lots of recipes online if you want to make your own. This one is one of the closest, at least in appearance, to the commercial variety. Sunny D and Capri Sun would be the obvious nonalcoholic drinks, but I was looking for something special. I saw variations on a tequila sunrise and similarly named drinks. However, the drink I settled on is a variation of a Black and Tan. My version has Blue Moon Ale on the bottom and Guinness Stout floating on top. This version is goes by various names – Black and Blue, Dark Side of the Moon, or, appropriately for our purposes, The Eclipse. Just in case someone wants something harder, I picked up a bit of Palmetto Moonshine for sipping. Maybe we could do Eclipse Boilermakers. However, I don’t think I want to eclipse all of the afternoon. So that’s our party food for the big eclipse event. Even if it’s completely clouded over, we still plan to have a good time.